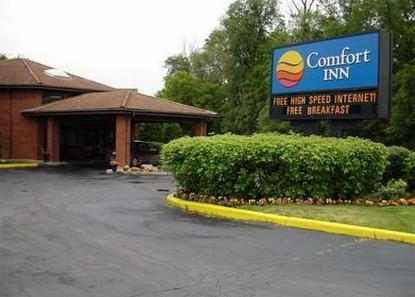 Our hotel features a FREE continental breakfast, in-room coffee makers, hair dryer, FREE weekday newspaper, FREE local calls, parking, and much more. Our 100% satisfaction guarantee shows just how much we are dedicated to making you feel as comfortable as can be. Make Comfort Inn Toronto-East your home away from home. The Comfort Inn Toronto -East makes your comfort a top priority. AAA/CAA approved. Our property is close to 401. You will be able to reach the downtown Toronto area by car in no time. We are just minutes away from the local bus and subway terminals and are close to various major attractions.Bus and Truck Parking:15.00/night(bus fee waived when accompanying group).Rollaway and Crib available on request.